Corruption undermines the success of international interventions, reducing mission effectiveness, diminishing public trust in intervention forces. Where intervention forces lack adequate oversight and control, for example, or procurement is based on the interests of a single individual or state rather than the requirements of the organisation, its ability to respond to crises suffers. International organisations are complex and political organisations, which can make ensuring accountability and oversight challenging. But where they are able to ensure that there is effective oversight of peace and military operations and corruption risks are limited, their ability to secure peace and stability will be much greater. 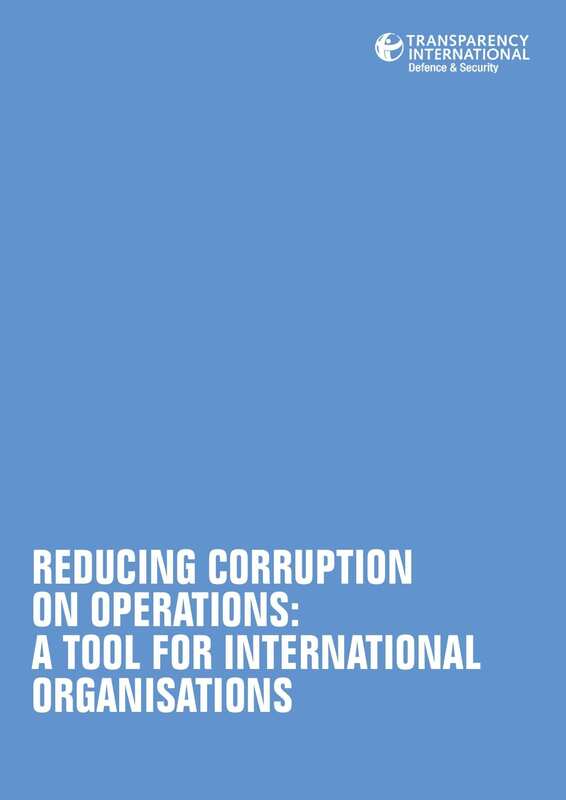 This tool is designed to help international organisations conducting peace or military operations assess their vulnerability to corruption, with the aim of helping institutions strengthen themselves against this risk, improve their effectiveness, and ensure their operations are in the best interest of those directly affected by them and the global public. It sets out good practice for accountability and good governance of peace or military operations conducted by international organisations, and to ensure that those operations are overseen effectively. Drawing on the methodology of the Government Defence Anti-Corruption Index, this set of questions aim to assess levels of corruption risk and vulnerability and to enable institutions to assess how their systems compare to international good practice. It is separated into five sections: political risk, financial risk, personnel risk, operations risk, and procurement risk.